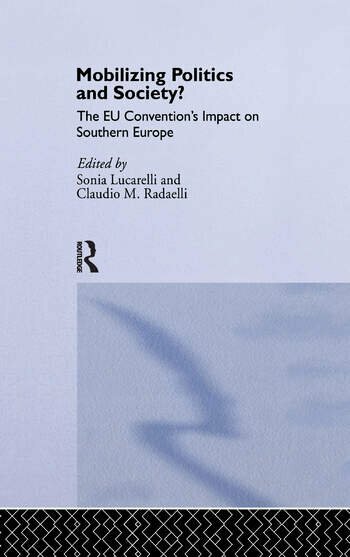 Mobilising Politics and Society offers a timely analysis of the European Union Convention's impact on the domestic political systems, and civil society in Southern Europe. It provides country chapters on Portugal, Spain, Italy, Greece, Malta, Cyprus and Turkey. All chapters follow a common scientific template, in order to offer material for genuine cross-country comparison. In addition, the volume contains horizontal chapters on three important issues: the mobilisation of intellectuals; sub-national politics; and the participation of women. The editors compare results of the country chapters in their conclusions. The book contains documentation on the EU Convention and South European participants. This volume was previously published as a special issue of the journal South European Society and Politics.